No, you didn't dream it, last week Gibson really did launch a range of Jimi Hendrix-branded 'signature' instruments. This morning, the guitar world has woken up to find www.gibson.com completely devoid of any mention of these products. That's right, the 'Sound Like Jimi' feature, the Janie Hendrix interview, the product pages with dozens of disparaging comments... all gone. Somebody at Gibson HQ has got busy with the 'unpublish' button over the weekend. See if you can find it. 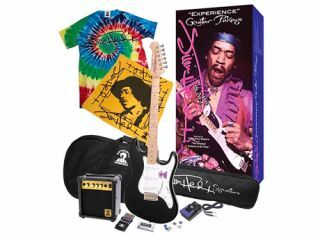 This link was a blog with factory pictures of the USA Hendrix model last week. Today it's a 404 error. The most controversial guitar launch that we can remember has just taken another turn for the weird. Is this an acknowledgement that Gibson has committed PR suicide? Or maybe it's an excercise in Orwellian dethink: they were never there, you must have imagined it. We await Gibson and Authentic Hendrix's next move with interest.